Last weekend was an unusual one for me. For the first time in a long while, I was ‘home alone’ as Soph was visiting family for the weekend. Also, it was an opportunity to lock myself away and study for the first of my RHS exams. No venturing out into the garden for a snowdrop inspection and definitely no mad dash to the allotment and freedom! I need to pass this exam so it was head down and revise, revise, REVISE! From chitting to mulching to primary cultivation, nothing was going to escape this student. My focus was absolute. Coffee made, heating on and desk piled high with relevant reading material, I began revising, trying not to get too confused by the Latin names mocking me with their fancy pronunciations… Damn you, Latin, with your bewildering ways! I’m sure studying wizardry at Hogwarts would be easier. An hour into my studying and my mind starts wandering. Coffee gone, that’s OK, I don’t need further refreshment… hmmm.. my Star Wars figures look lonely on that shelf… maybe I should play with them, just for ten minutes…No! Vader’s downfall can wait… Hmm, Helena Bonham Carter’s pretty… STOP! Concentrate, will you?! Must learn, must pass exam, must prove to Titchmarsh I’m the new kid on the plot! Just as I’m about to turn back to my textbook, something out of the window catches my eye. 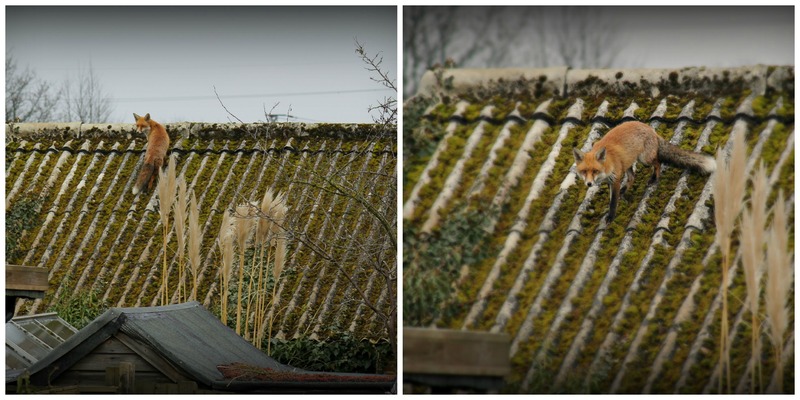 Standing proud on a neighbour’s tin roof without a care in the world, is a handsome, furry dandy. 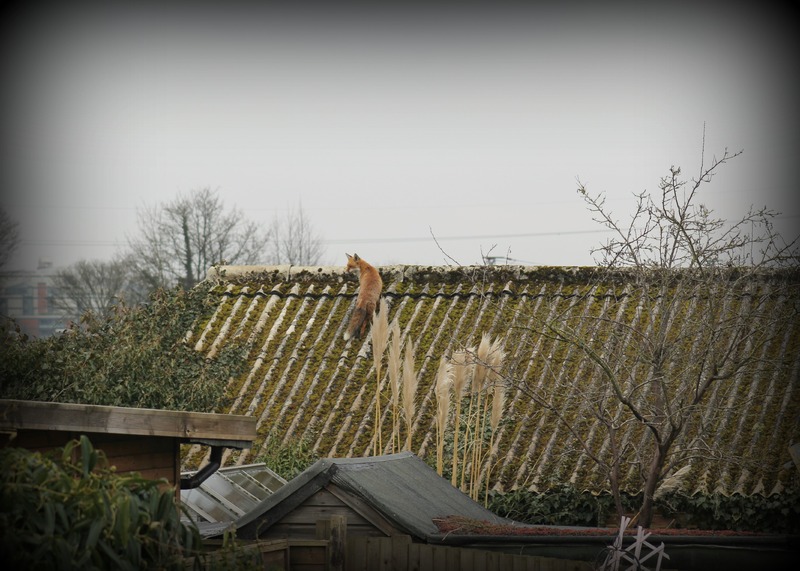 A fox on a cold tin roof; not something you see everyday. I decide this is an acceptable distraction and a prime photo opportunity. Several photos and a freshly brewed coffee later I resume my studies, but then it dawns on me.. ‘It’s a sign!’ The world of horticulture has sent me a sign. It was speaking to me through the power of the Parkour-loving fox. He was telling me something, something important. Next Agents of Field are 1 Year Old! Wow! What an amazing sight! Good luck with the exam Ade. Revising is so hard and speaking as someone who worked at home for many years, I can confirm that it is perfectly normal to do everything and anything rather than work. Thanks Karen. Glad to hear I’m not the only that can get distracted. It is so easy to find something to do when you know you should be revising. Well, that’s surreal. Best of luck wye your examinations! Many thanks and we’re glad to read you’re blogging again.. Yahh! Good luck on your test! Great picture of the fox. Many thanks Honey. Fingers are firmly crossed on the exam result.